Request a quote for Standard Pull Ring - Locking Nose Retractable Plunger w/o Nylon Patch today. JBF National’s standard pull ring locking nose retractable plunger comes available in 12L15 zinc plated steel, 303 stainless steel, and brass. This retractable plunger (also known as an indexing plunger) features a radiused Delrin nose for maximum hole engagement. A simple pull and twist of the pull ring engages the locking element, thereby holding the plunger in the retracted position until disengaged by a reverse twist. The flexibility of the pull ring allows for upward and downward movement to make folding away the pull ring as needed, no problem as all. 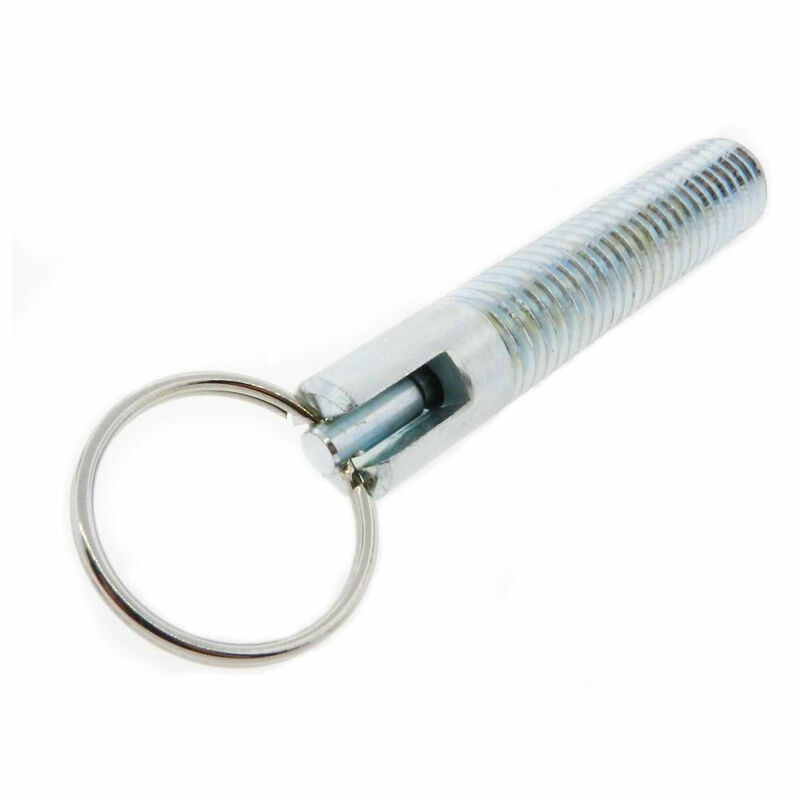 This retractable plunger has been designed and tested to withstand side loading. Please see component diagram below.